Php provides mongodb driver to connect with mongoDB database. After installing it, we can perform database operations by using the php. Here, we are using Ubuntu 16.04 to create an example. This example includes the following steps. Following is the preferred way of installing this library with Composer. Execute this script on the localhost server. It will create database and store data into the mongodb. 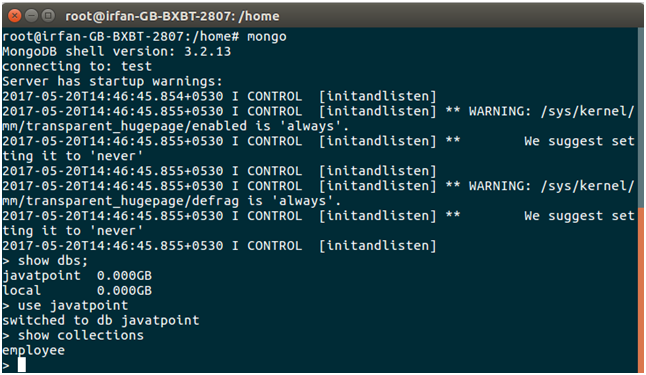 After executing php script, we can see the created database in mongodb. 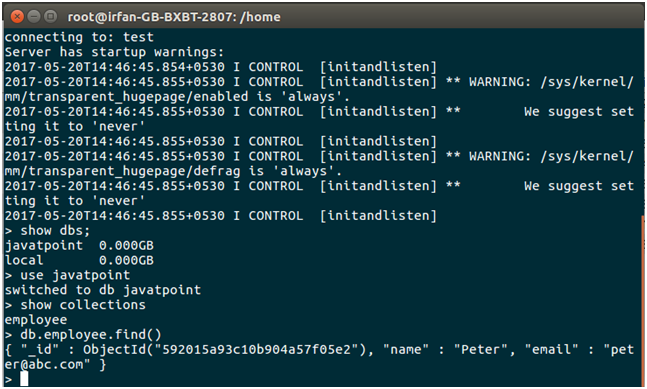 The following command is used to show databases. The following command is used to show collections. Well all set, this is working fine. We can also perform other database operations as well.